For any further information or training session on this topic, please contact ENSIE team. The Social and Economic impact of WISEs have been measured in Spain. The results can be found through a summary here and a more detailed presentation. More information is available on FAEDEI website. Following the European seminar 'Being WISE towards EU2020 strategy! ', ENSIE published the results measured through the impact WISE tool. ENSIE organised the European seminar 'Being WISE towards EU2020 strategy!' on November 17 at the European Parliament in Brussels, Belgium. The seminar was hosted by Jens NILSSON, Member of the European Parliament who introduce the event together with Ann Branch, Head of Unit at the European Commission, DG Employment, Social Affairs and Inclusion and Salvatore Vetro, representative of our network. After a presentation of the Online Data Base of ENSIE by Raluca Ouriaghli, President of RISE Romania, and the presentation of the IMPACT WISEs TOOL by Guillaume Tréguer, representative of FAEDEI, our Director Patrizia Bussi presented the results of the study on the impact of work integration social enterprises 2015. This policy brief on strategies and policies to scale the social impact of social enterprises was produced within a multiannual cooperation between the LEED programme of the OECD and the Directorate General Employment, Social Affairs and Inclusion of the European Commission. It begins by explaining what a social enterprise is and what scaling means in the context of social enterprises. It then compares the scaling patterns of social enterprises and conventional enterprises, looking at social impact vs. profit maximisation, the types of goods and services involved, and stakeholder relations. It goes on to examine specific strategies for scaling impact and also highlights the challenges and policy responses connected with this. At the occasion of its General Assembly meeting held in Dublin on the 16th and 17th of June 2016, the team organised an information and exchange session with its members to improve the current European tool designed to measure the social and economic impact of Work Integration Social Enterprises. Back home, several members will test the tool within their network to present further results of the WISEs state of play in Europe in a few months. To be continued ... ! 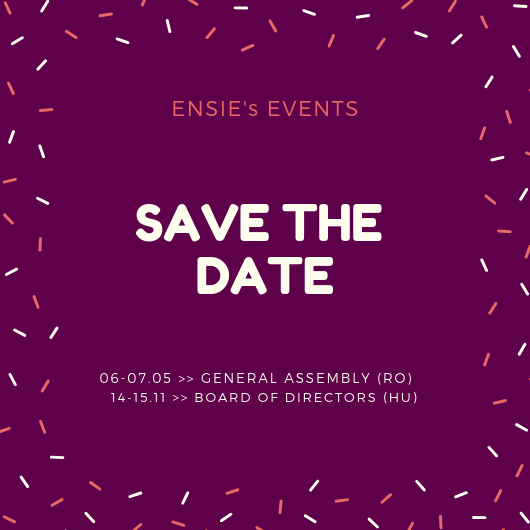 ENSIE organized its seminar at the EU parliament. This was the occasion to discuss about the importance of economic and social impact of WISEs, through the presentation of the European tool ENSIE and its members elaborated and through the presentation of figures of the WISEs sector. After a first test phase was carried out, we invite you to view the first results. "Results of study on social and economic impact of WISEs" - Erika Lambert, Policy officer - ENSIE - (FR). Social entrepreneurship – and how to measure social impact. 26 March 2015 - Investing in social business is attractive to many investors, but it's not as easy to measure a social rather than a financial return? Policy analyst James Hopegood explains how it can be done. More info.